Ever heard of that saying before or you don't believe it? I recently attended a breakfast meeting where Clara Chinwe Okoro, the curator for CoolBrands in Nigeria hammered that exact thought and she also shared some powerful insights on 'personal brand building'. Welcome to my fourth piece in the 15-for-15 Challenge themed woman; her body, soul and spirit. I am going to expand the sphere of my target audience however to include the menfolk (though I'm sure they've found the previous posts in this series interesting too *winks*) The aim is write a post that will improve a person's spiritual, physical and mental acuity. Permit me to share a story with you. A few months into my MBA programme some industry experts came to give us one of those out-of-this-world pep talk that was to serve as an eye-opener into the real corporate world. The guest speaker went on about managing our individual reputation online, highlighting how a good online reputation affects people's perception of us and how impressions are formed based on that virtual contact. At the time LinkedIn was the major tool being marketed to us but beyond that platform other social networking tools were discussed. The presentation left me with a single thought, "what will people find about me when they google my name". This I am sure was the overarching objective on the part of the consultant, he aimed to provoke our senses to ask ourselves that all-important question and hey I did. I got on my laptop, googled my name and alas! I wasn't even found on the first page. Whatever you do ensure you remain visible on the FIRST PAGE! 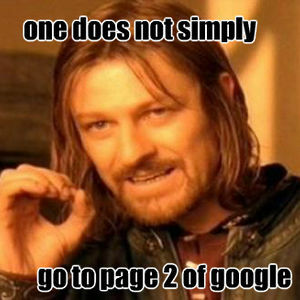 For real, one does not simply go to page 2 to continue a search except such a person is involved in a detailed research work. That day I searched for my name I was completely unimpressed by the results that jumped out at me. I was not on the first page neither did my name reveal much on the other page which brings me to this other rule (I'll get to that in a bit). 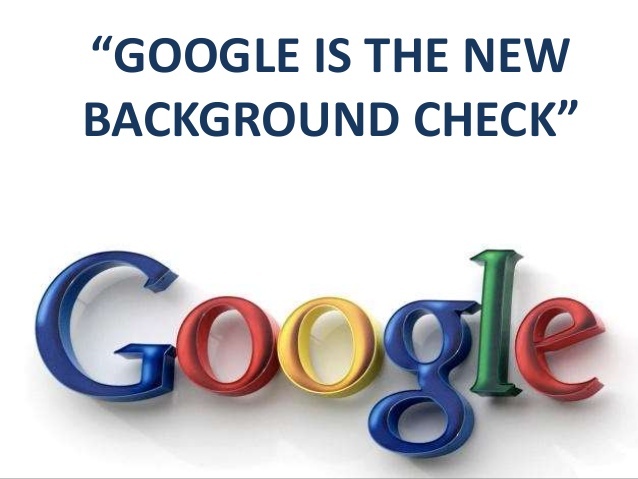 These days people, not restricted to employers of skills check you out first online before an actual meeting! Ask an HR expert he/she will tell you the same. Write your own story and I don't mean that figuratively. Trust me when I say content is king. One of the searches I found of myself revealed I had a blogger account which was something that was created when I needed to comment on some interesting post I had earlier read but beyond that there was no activity whatsoever on that account. Empty blogspot account for someone who loves to write??? "Tufiakwa" (God-forbid) "kamari" (may it never happen). You know this is a case of the tailor's son wearing rags? People must find these 3 things or a combination of them in any dimension. For instance searches of my name will reveal 75% of my passion and 25% split between the others (no one's assigning weights nor rating). We agree we need to have an active reputation online. What sort of reputation do we want to build? A good one. How can that be created? Simple. First you must define your personal brand. Who are you? What do you want associated with you? What's your niche? What angers you to a point of compassion? What are your values? Beliefs? The onus rests on YOU to define that. A lot of young fellows are doing great on the internet space these days; some as relationship catalysts, some as fitness experts. Consultants of all sorts making things happen. But hey, don't be sad the space isn't saturated yet. 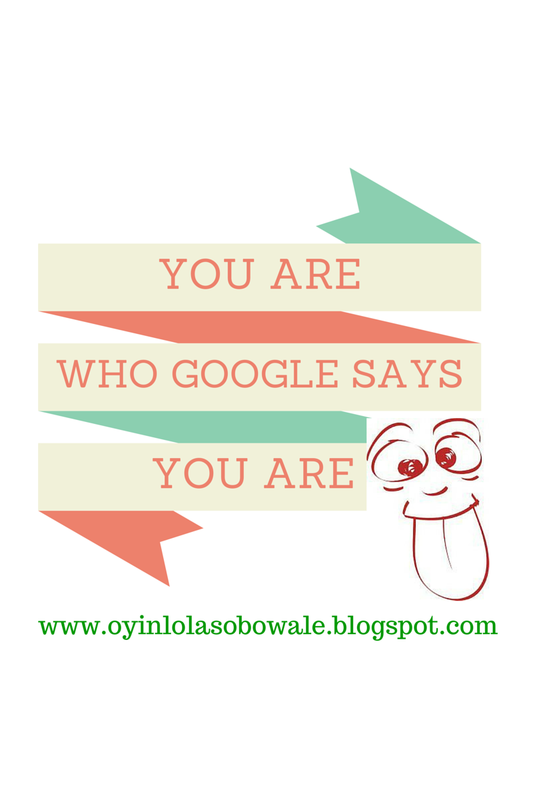 There is always room for you to exploit just define your personal brand. Create content to support your personal brand. You remember those 3 things - passion, vision, accomplishment? Create a story around them. Like I earlier said the job can be done for you by a close friend, an acquaintance or a relation. I mean I know a young guy who is a relationship catalyst. This guy is super active on social media. He comes up with different poster designs every other week to push his twitter activities through BBM plus Whatsapp broadcasts and guess what? Someone does the designing for him. He only does the talking! (That's no advert by the way). Point is you don't necessarily have to know how to articulate your vision/passion/achievement but allow the help of others and push this story on your LinkedIn profile - you should create one between. If you are still as young as I am and you intend to remain in the corporate world for a while even if you are a budding entrepreneur you need visibility online! I have a senior friend who jokingly told me I shouldn't date too many guys so that when he becomes president and asks me to join his cabinet no guy will come with some blackmailing stunt threatening to reveal all the eeeeevil I 'may' have done as a single young lady. This applies to the digital space as well, when your children come of age and read about you online, what will they find? The time to manage what is being seen or read about you is now because whatever people find about you defines who or what they think you are whether you like it or not. Use Google as your wingman. Yeah you read that right. Make sure this content is found on Google. Link your pages, let there be easy access to you (not necessarily your privacy) but your identity. My Facebook page is linked to my blog and blog is linked to Instagram...just like that. You may not be able to afford paying for SEO services but if you own a business you may want to consider this (I'll let the experts tutor you on this one - calling on Peace Itimi). I totally agree with you... I was amazed the first time I typed my name on google. Unlike yours, I found myself on the first page and I have been there ever since... lol. So for me, it is about enriching what google tells people about me in those three things you mentioned: passion, vision, accomplishment. Gengen, that's a good one. Nice going. Thanks for the kind words too. How come you have such a beautiful and educative blog like this and I was unaware? Nice post. Very apt for this current times - your online reputation is an extension of who a person is and oftentimes the first window/impression of you. Ooops! Now how do I answer that? That's a call to action for me - blog publicity required. Thanks for sharing your thoughts and your description is very apt as well. "Your online reputation is oftentimes the first window/impression of you". Oh mehn....I remember the first day I did a google search on myself and found my name on the first page along with some crazy blog posts...Jesus! I freaked out mehn! I saw every friggin' thing!! Twitter and facebook page! Jesus! Still freaks me out till date. Hiya mami. Thank you for stopping by. Oyin, the instructor...the teacher! Thanks. Hardly had I got to the second rule than I decided to quickly check Google for my name. 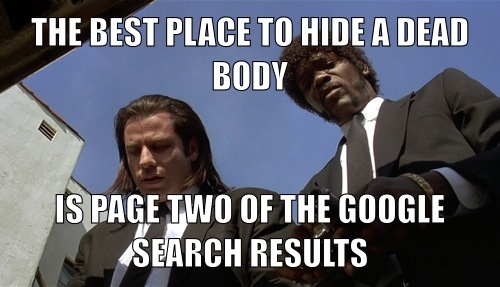 Sadly when I did, I couldn't really find it on the first page like I did sometime ago. I had contributed a poetry in some blog many years back and it went a bit viral as many of my friends and others commented on... which brought me to such first page on Google. Ever since then I think many other "'Odeleye Bunmi's" especially on LinkedIn and Facebook have had mine overwritten or something. U might have to open almost all the links on page one before u stumble upon me. Thanks for educating me. I shall pimp myself up on that. Great content. It helps too if you have a unique name, toulr always be on the first page lols. You know yeah Lola... I recently went to an even organized by my partner MaraimOre.. and at the event yeah.. the Moderator said.. 3 rules to succeed in any venture are..
1. Get enough people to know you. Mmeehhnnn in the past weeks of attempting to grow The Young and Confused Gang into a corporation yeah.. this has been on my mind.. I mean its hard.. But Image is everything.. I mean wow!! 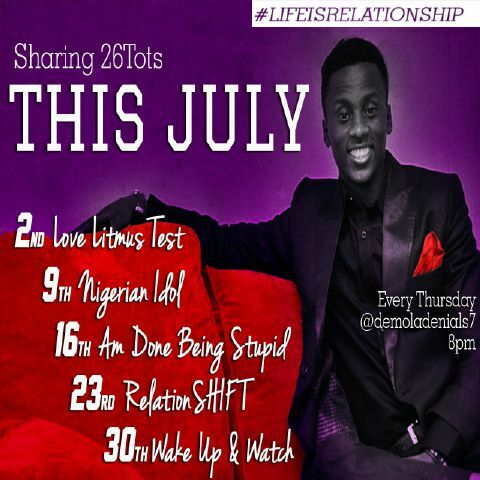 Baby mi...This post should be published on Times biko.. not Sun or The Nation oh! Times.. hehehe **Wears Billionaire smile... Thank you for this..
@ "the best place to hide a body is on the second page of the Google search option" picSHur.. hehehehehehehe.. permit me to conclude with what the Big boys used to say during tough examinations at IMSU FENG; "Positioning matters.." and then the Big gehs in Uni used to say while they go out for their many many schemes.. They would go "Packaging matters..."
Position your Brand.. Package your Brand... and like i read on King BlogoraTTi's this morning.. "Mirror what you respect.."
This was an amazing post.. it is by far the best i have read on any blog through out the 2015 challenge.. Amazing i tell you Lola.. Amazing... My MD should read this.. Inshort where is that PR maestro called King Penzzarr sev.. I need to mail him this :) and the crowd goes.. Oooosshheeeey Turn uP! These are indeed great and insightful thoughts, many thanks for sharing that! The one time I checked, it was because I couldn't remember my project topic in final year and I needed it to complete an application. I don't even remember if it was on the first page. Post was a wake up call, I'm off to google. Your blog doesn't like me... my comments never seem to go through. Interesting post Oyin, I've learned plenty. Lemme go and search for myself on google asap...I cannot let my boss see all my rubbish online o...brb..
Been slacking on LinkedIn though... Time to get back in it! Thank you and yes, you should update your profile. Thank you and yes, you should update your profile. Ya man!